This page will contain information we receive on various support groups in the community. It will be updated as we are made aware of groups in the Milwaukee Area. Please check this often. You have recently lost a loved one to suicide. Your feelings of grief, sadness, shock, isolation, anger and guilt may seem overwhelming. You may wonder if you will ever recover. These are normal responses. There is help from others who, like you, have experienced this tragedy. They want to help you recover and, most of all, they want you to know that you are not alone. Survivors Helping Survivors is open to all family members and friends of a loved one who has completed suicide. People of all ages, occupations, and religious affiliations are welcome. There is no fee and you are welcome to attend as often as you would like. MHA offers the following support groups in the Milwaukee area. 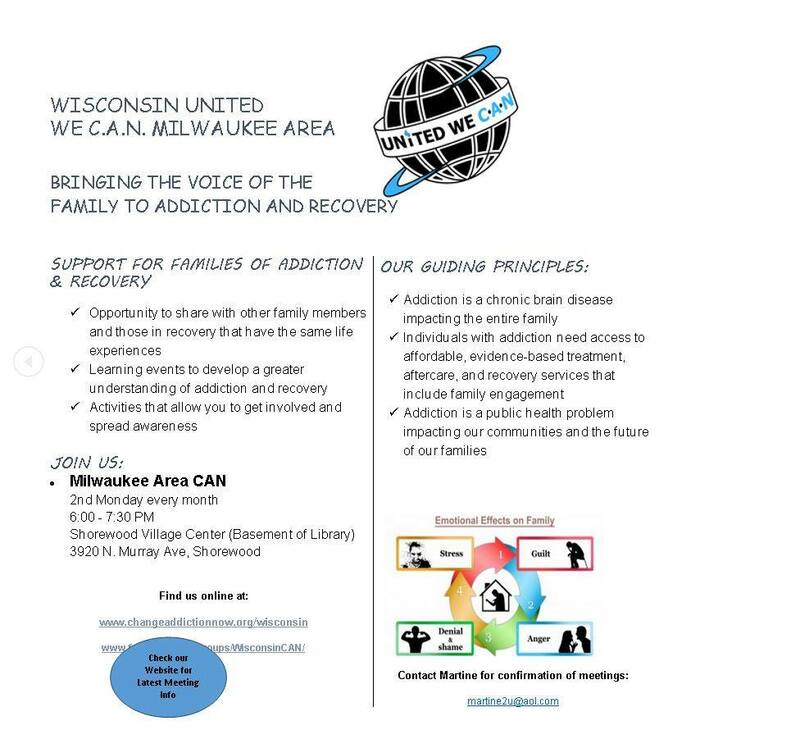 For more information, call MHA at 414.276.3122 or 414.336.7970 or email Adrienne at adrienne@mhawisconsin.org. For family members, partners and friends of individuals living with a mental illness. It is not intended for the individual with mental illness. There are two meeting times each month: 1) at the NAMI Welcome Center in West Bend on the third Monday each month and 2) at Northbrook Church in Richfield on the first Monday each month. New people are always welcome. Arts and crafts is a group that meets weekly and works on small projects that can be completed in one day and taken home. It's for anyone who would like to escape into a world of creativity.